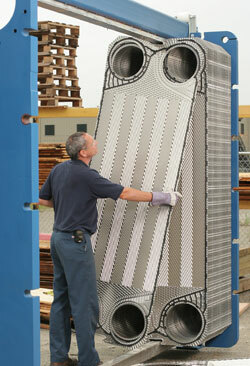 Polaris PHE has built and serviced the widest possible variety of heat exchangers for many years. We’ve gained a deep understanding of all plate heat exchanger applications. Their experience and knowledge cover all the industries that use heat exchangers – manufacturing/industrial, food processing, oil and gas, ethanol, hotels, marine, and many others. You’ll find that our field team has the experience and multifaceted skills to make things right. They’re trained and responsive in every service situation. They’re backed by outstanding home office engineers. They can fix even serious problems with plate heat exchangers from any manufacturer. Whatever the need, our factory-certified PHE technicians are standing by.